Singapore Airlines (SIA) stories of stewardesses, stewards of more than 10 years by Boh Tong : Why must only girls "be careful" of this stewardess huh? Why must only girls "be careful" of this stewardess huh? 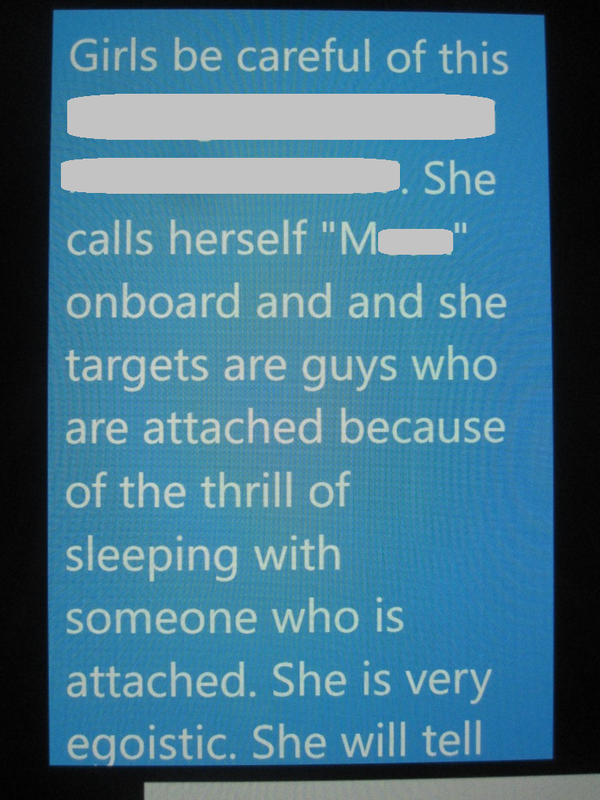 This is a "Mean" whatsApp message that has been going around in cabin crew. Whether it's true or not just enjoy reading the gossip and take it with a pinch of salt.